A fun moment around the International Fountain at the Seattle Center. 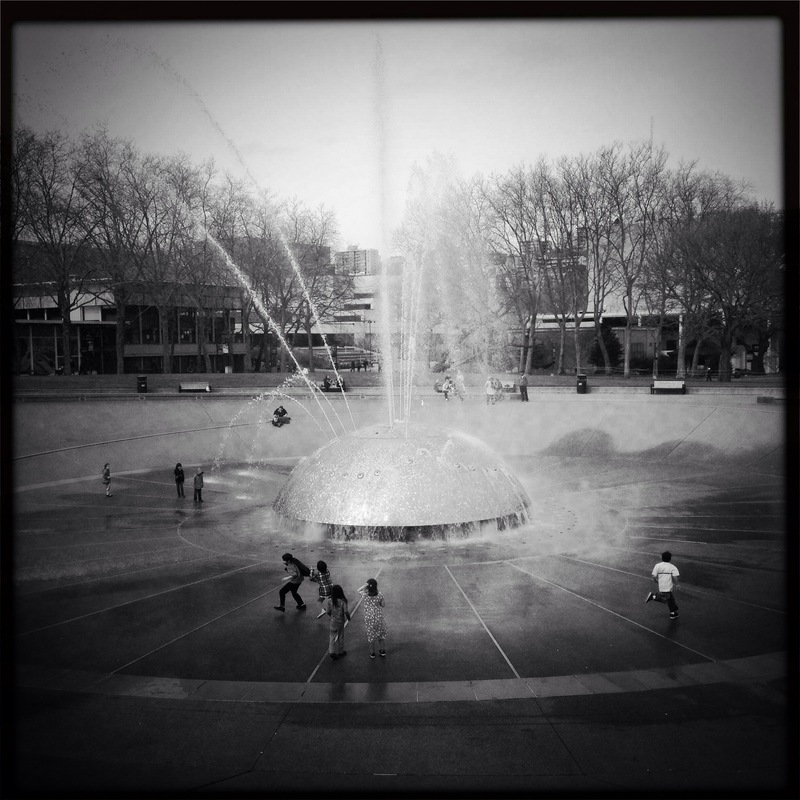 This fountain, along with the Space Needle were designed and built as part of the 1962 World’s Fair and is a popular place to run, play and relax in all kinds of weather. The fountain sprays in varied patterns through the day and is said to have some of the cleanest water in the city as every gallon is recycled and filtered three times before reaching the public. Aww yes, my kids and grandkids fav place to play in Seattle. It’s so fun to see the kids run and play there. I love the iconic mid-century architecture at the Seattle Center! The fountain is always so beautiful. We found the fountain by accident, but we spend time there on two occasions, just watching people interacting with it (and getting wet). I got some great photos, too – I’ll have to post them some time! Thanks for the reminder, Lisa! I’m looking forward to seeing your photos and am happy you found it during your trip! Thanks Amanda! I hope you get a chance to visit soon! What a fun post! Love the composition!